What's new in Visual MP3 Splitter and Joiner 9.0? [!] The splitting and joining algorithms have been optimized. Now you can cut and merge your MP3/WAV files faster than ever! 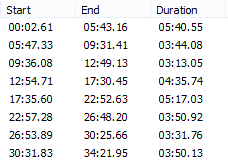 The audio processing algorithms have been reviewed and optimized. 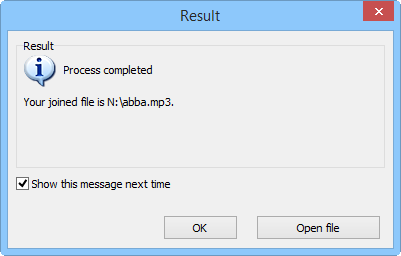 Now the program splits and joins MP3 and WAV files as quickly as possible. The result will be there in no time at all. [+] When you split a file, each part's number is saved into the track# field of ID3 tags. 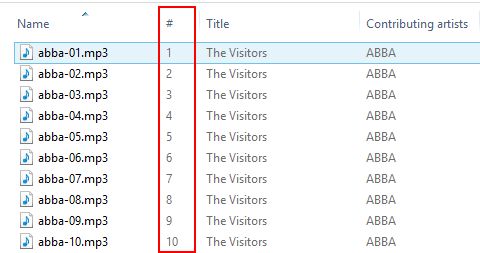 Visual MP3 Splitter & Joiner 9 saves the number of each part (as it is shown in its split list) into the "Track#" field of ID3 tags. This helps sorting your files when using information from tags. [+] Visual MP3 Splitter & Joiner remembers your preferred splitting mode. 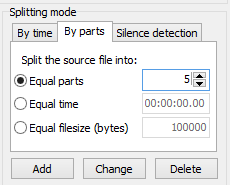 Instead of using the default splitting mode each time you start the program, Visual MP3 Splitter & Joiner remembers the mode you used last time. When loading information about tracks from a Cue sheet file, Visual MP3 Splitter & Joiner could round start/end time to seconds. This problem was fixed in the version 9.0. There are other small bug fixes and improvements in Visual MP3 Splitter & Joiner 9.0.